Quick Links About the GGF Join the GGF Why choose a GGF Member company? Almost 100 delegates attended an enjoyable and informative day as the GGF hosted its Annual Members’ Day at The National Conference Centre in Solihull. The exclusive Members event hosted by GGF President John Agnew opened on a sombre note as the Federation paid tribute to Maurice Anders of T A Anders Co. Ltd, a Founder Member of the Federation. 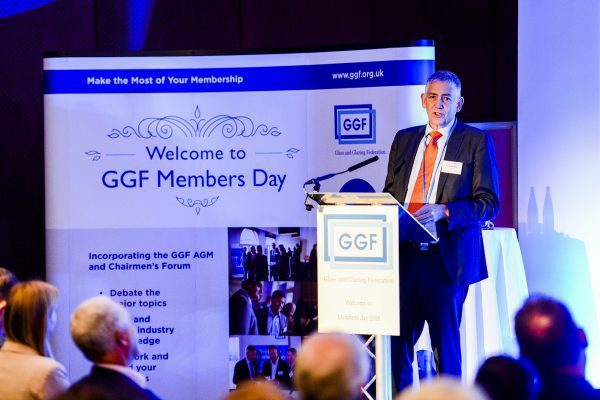 The programme then opened with a business review by Kevin Buckley, GGF Group Chief Executive, who highlighted the GGF’s work on the political, technical and training side as well as revealing that the GGF has recruited a record 54 companies into membership this year. Kevin then held the formal Annual General Meeting with the Federation’s 2017 accounts approved and the GGF’s bankers and auditors re-elected by the Members present. Delegates heard presentations by keynote speakers from the very different fields. Broadcaster and journalist, Declan Curry gave his take on the political and economic landscape ahead of Brexit. Next up was Steve Wycherley, Management Coach and Director of The Continuum, who explained why motivated employees are critical to business success and highlighted the importance of holding on to top talent. The GGF staff presented on the industry’s most topical issues with Russell Day, Director of Home Improvements, providing a highly informative presentation on the impact the Grenfell Tower fire has had on the industry and how it will shape future regulation of fire safety. Anda Gregory, Managing Director, GGF Commercial, presented on the progress and planning of the GGF’s commercial subsidiaries following her appointment earlier this year. 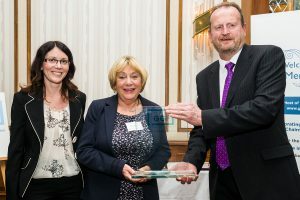 During Anda’s speech, DG Solutions (GGF and FENSA Member) were congratulated for installing the 13 millionth installation registered through FENSA – the industry’s largest competent persons scheme for the installation of windows and doors in England and Wales. Training was a subject that came up several times throughout the course of the day and Richard Hearn, GGF Head of Membership and Training, conveyed his plans for the GGF’s training programme, which kicks off on 9th October at the GGF offices with a one or two day installation course followed by a surveying course on the 25th October at the same venue. John Agnew, GGF President, introduced the GGF Board Members and then mapped out the plans to review the governance and composition of the GGF Board.. Kevin Buckley, recently appointed permanent Group Chief Executive Officer, then joined John on stage to take questions from Members in the Open Forum session which covered topics such as the GGF Board, Insulating Glass Units and glass shortages that some Members are currently experiencing. 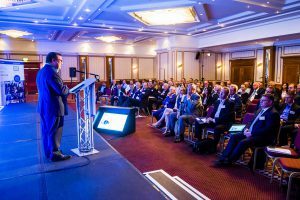 Presentations from GGF Members Day 2018 are available for all Members to download from the GGF website Members Area. The afternoon was a less serious affair as attendees enjoyed lunch and three GGF Members received well deserved awards. Firstly, Founder Member Holdens Supaseal received an award to recognise its more than 80 years of outstanding service to the industry. 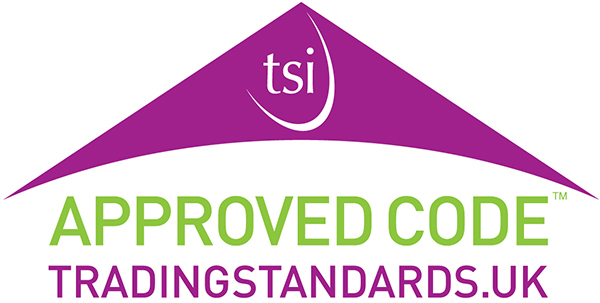 GLASS Charter Merit Scheme certificates were awarded to Slimline Glazing who achieved Bronze Level and to The Window Company Contracts Ltd, who are the first company ever to achieve Gold Level in the GLASS Charter. To round the day off, the GGF held a fun quiz to test Members knowledge of the GGF staff. 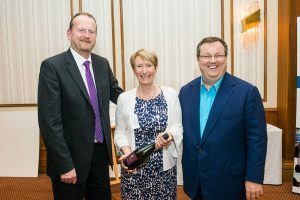 The winner of the bottle of bubbly and congratulations went to Irene Smith of REHAU.